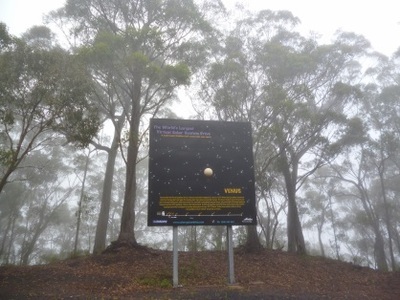 Siding Springs Observatory is located in the Warrumbungle National Park, 27 kilometres from Coonabarabran, in the Hunter Valley region of NSW. This observatory is Australia's largest optical astronomy research facility and while visitors can't actually check out the stars here, there are other reasons to visit the attraction. It costs nothing to take a loo inside the observatory (though the national park does have a vehicle entry fee of $7.00). However, only one floor can be accessed by the public. It's here that you can look in at the Anglo-Australian Telescope. On occasion, there are opportunities to see the rest of the observatory too. It holds an annual open day, when you can learn about some of the other telescopes and meet some astronomers. During school holidays, it also holds talks and walking tours. The observatory is only one of two buildings on the site and it's worth taking a look at the Visitors Centre. Here you'll find a gift shop, a cafe and the educational Discovery Centre. Picnic benches and a car park are located outside. The Discovery Centre consists of an exhibition focusing on astronomy and costs a few dollars to explore. It has a mix of informative displays and interactive exhibits that are great for families. 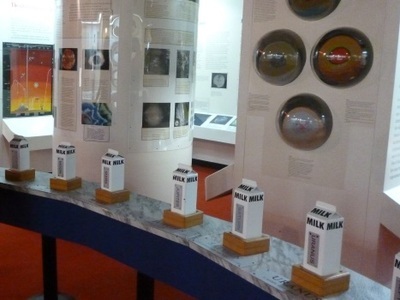 For example, you can lift weights shaped like milk cartons to see how heavy they would be on each planet in our solar system. 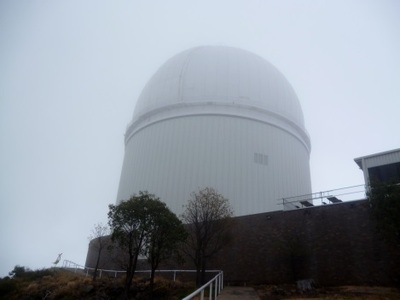 Siding Springs Observatory is also the centre of the World's Largest Virtual Solar System Drive. 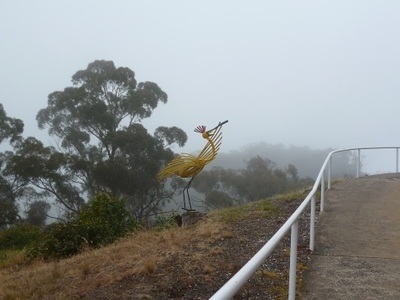 It represents the sun and the rest of the planets can be found on the road to Coonabarabran (considered the Astronomy capital of Australia) and then on the drives to Dubbo, Tamworth, Gulgong, Moree and Merriwa. Throughout the rest of the Warrambungle National Park you'll find walks, picnic areas and places to camp. It's also the home of the Breadknife rock formation, a pinnacle of rock visible on the Grand High Tops and Breadknife walk. 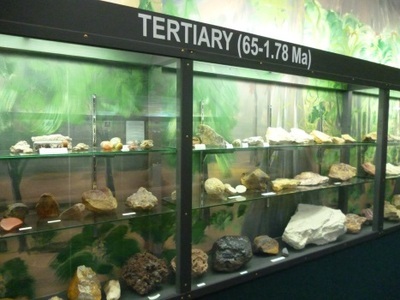 Coonabarabran is the closest town to Siding Springs Observatory and if you choose to visit it, you should go to Crystal Kingdom, a museum and shop dedicated to rocks and minerals. There, you'll be able to learn more about the area you just drove through in the National Park, including the two Warrambungle volcanoes. Other things to do in this part of central New South Wales include the popular Taronga Western Plains Zoo in Dubbo and the Wellington Caves, both within a few hours of the observatory. Sydney is around 5 and a half hours away.